Food Adventures of a Comfort Cook: Runner Up Turkey Recipe is still a Winner. Runner Up Turkey Recipe is still a Winner. 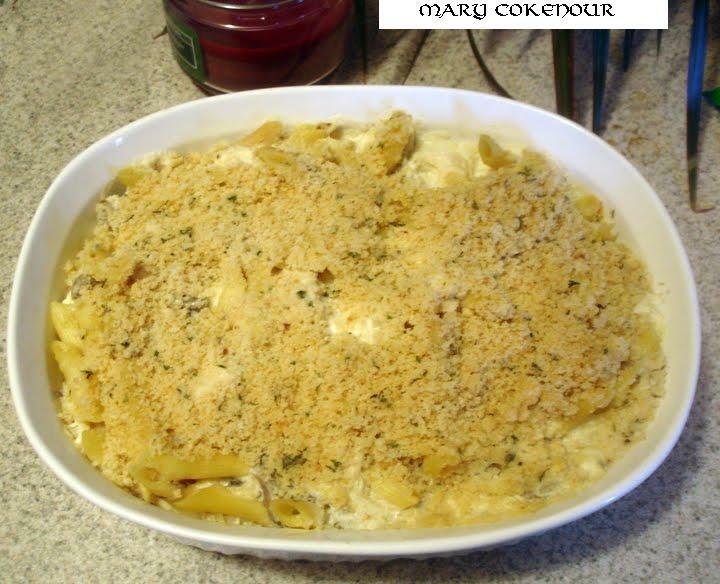 Back in February 2011 I posted my recipe for Four Cheese Chicken Pasta Bake which is a decadent blend of cheeses baked with penne pasta and chicken. Later on in the year, Taste of Home magazine was running a recipe contest featuring leftover turkey. Since my recipe featured poultry already, changing from chicken to turkey wasn't a big step. I submitted my recipe with the change and under the name "Four Cheese Turkey Pasta Bake". While it did not win, it is being featured as a Runner Up recipe in Taste of Home's November 2011 issue; their photo is on page 71 while the recipe is on page 72. This recipe is a good example of comfort food and is versatile as it can feature not just poultry, but beef or seafood as well. Taste of Home only made a couple of minor adjustments, but primarily kept my recipe as I submitted it. It's not available for viewing online yet, so I'm posting the recipe as I wrote it and with my photo. Preheat oven to 350F. Spray a 2 qt casserole dish with nonstick spray. In a small skillet, on medium heat, sauté onion in butter till softened; add garlic and cook for 5 minutes more. In a large bowl, mix together thoroughly the soup, mushrooms, all cheeses, cream, milk, black pepper, nutmeg, turkey, pasta and the onion-garlic mix. Spread evenly into the casserole dish. In a small bowl, mix together bread crumbs and butter completely; spread over the mixture in casserole dish. Bake for 30 minutes, covered with aluminum foil. Uncover and bake for additional 15 minutes, or until topping is golden brown.